Is it hot where you are? The Pacific NW has had a hotter summer so for than I ever remember having. When I don’t want to boil pots of water or turn on the oven to cook because it heats the house even more, we resort to grilling. I have had to learn some tricks because we have been grilling much more than usual in this heat and I need to get creative to offer a variety of dishes. When you grill a lot, it is really hard to get the same desire everytime. Depending on what I am cooking and what oils I am using the meat either cooks flawlessly or sticks to the grates no matter what I do. 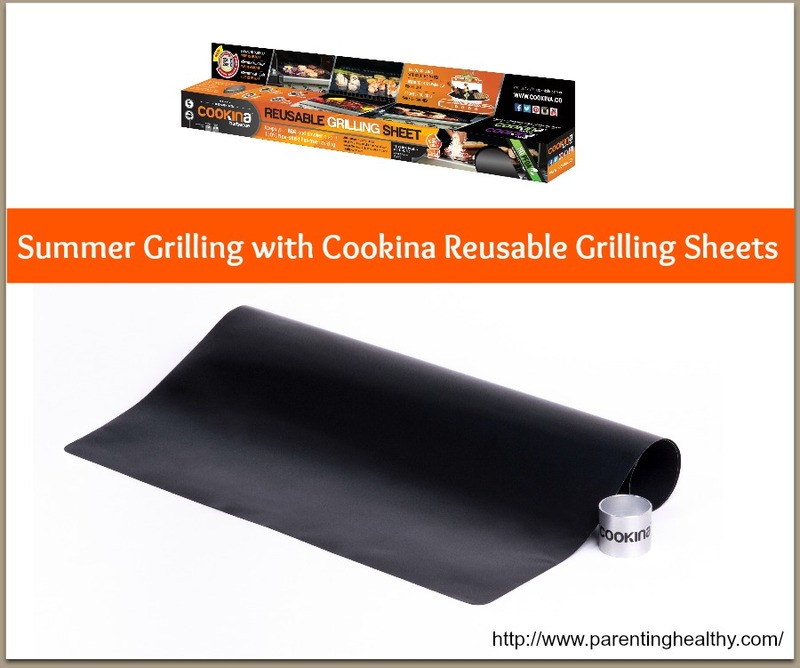 One tool I am using this summer as we grill is the Cookina Reusable Grilling Sheet. The Cooking Grilling Sheets are just like other Cookina sheets in that they come with a ring to hold the roll between uses and its own scour pad that is the right abrasiveness for effective cleaning that won’t damage the sheet. I first wet the sheet under warm water so it is flat and gets rid of the roll, lay on my grill and can cook any foods with no sticking and the juices and flavors stay with the food! You can find Cookina products at Kroger stores, Home Depot and other retailers near you. Use the store locator to find it where you live!